OSWEGO, NY – Actually, the winter of 2013-14 has been rather average. However, the previous two winters were so mild, they lulled people into thinking that was the norm, according to Bill Gregway, local observer for the National Weather Service. Spring officially begins at 12:57 p.m. today (March 20). How cold was it? 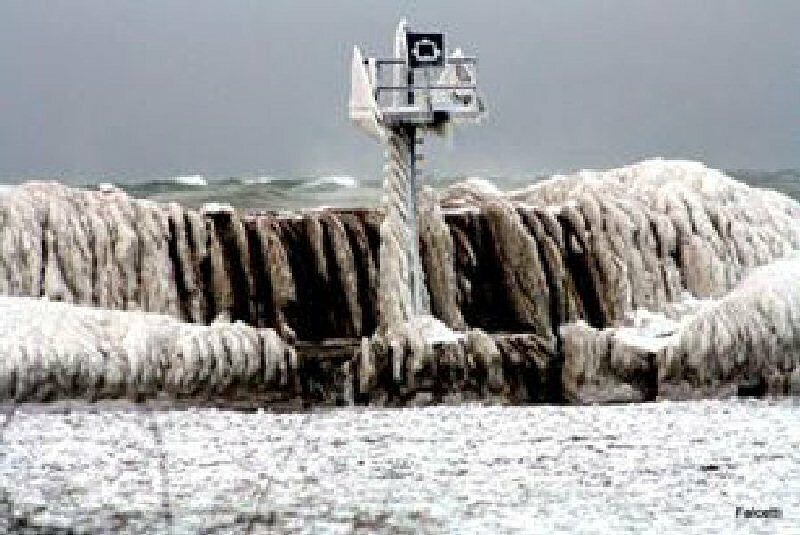 Joe Falcetti’s photo of the frozen breakwall answers that question. For purposes of record keeping, Gregway breaks the seasons into groups of 3 months each with winter being December, January and February. The average temperature for the winter is 24.0 degrees. That is 2.2 degrees below average. The average temperature for the previous winter was 30.3 degrees and for 2011-12 it was 32.6 degrees. The warmest temperature this winter was 58 degrees on Dec. 5 and the coldest was -5 degrees on Jan. 23. Temperatures fell to zero or below 6 times, all in January. And, the high temperature was in the 50s 3 times. There were no records set. A couple of near-misses, but not records, Gregway noted. This winter received 9.0 inches of precipitation. That is 1.22 inches below average. Snowfall for the three-month period was 123.1 inches. That is 5.4 inches higher than normal. The greatest precipitation in a 24-hour period was 1.51 inches on Feb. 21. For snowfall, it was 10.5 inches on Jan. 2. There was snow pellets twice, ice pellets twice and 4 times we had freezing rain or glaze. Even the sunrises have been cold this winter. There were 75 days of measurable precipitation and 15 days of no precipitation. The number of cloudy days, 75, was 6 above average. 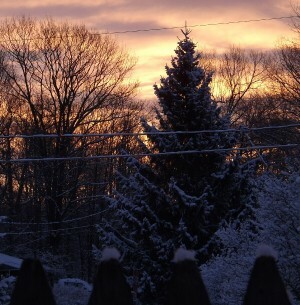 The number of partly cloudy days, 12, was 4 below average. The number of clear days, 3, was 2 below average. 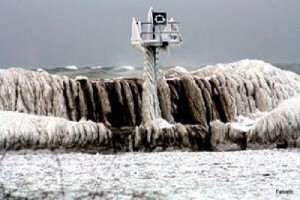 Oswego received 20 percent of the possible amount of sunshine for the winter. That is 3 percentages below average. The highest barometric pressure was 30.65 on Jan. 9 and the lowest was 29.22 on Jan. 11. There was a lot of wind during the winter, but no damaging winds, Gregway said. “The strongest winds were west-southwesterly with gusts over 40 mph on Jan. 6,” he said. “In February, we had 4 times when it was more than 30 mph. Recent cold winters include 2002-03 (23.4 degrees) and 2003-04 (24.3 degrees). Going back to 1855, the coldest winter is 1917-18 (17.5 degrees). The warmest is 2001-02 (34.4 degrees). The snowiest winter on record is 1971-72 when 251.6 inches of snow fell. The least snow for a winter is 29.4 inches during the winter of 1884-85.